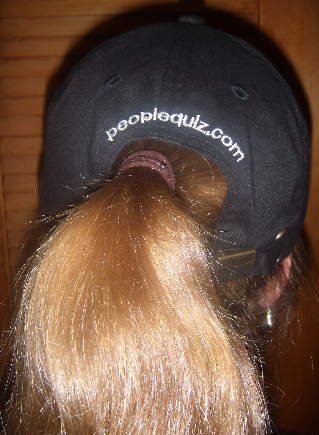 PeopleQuiz is proud to announce our monthly contest! IPOD Shuffle (2GB) - the first five players who write 7 Personality Quizzes in any given month will win an IPOD Shuffle! Holy Toledo! What a great prize! 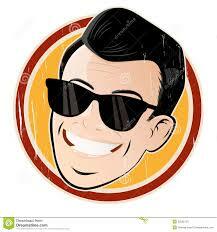 A Personality Quiz is a 10-question multiple choice quiz about a single person. Again, the quizzes must be Personality Quizzes! * Please note that players are limited to winning two IPODs during any given month. 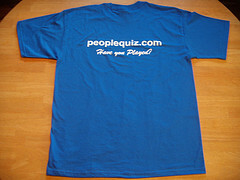 * Please note that players winning an iPOD Shuffle by writing 7 Personality Quizzes within one month will NOT be awarded a PeopleQuiz tee-shirt in addition to the iPOD. 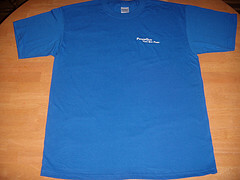 You will win a tee shirt for writing 4, 5, or 6 Personality Quizzes in a month. You will win an iPOD Shuffle for writing 7 or more Personality Quizzes in a month. In other words, you win one or the other, not both. We mail your prize, at our expense, directly to you when you win. To be eligible for our prizes, a player first needs to register (it's free!). 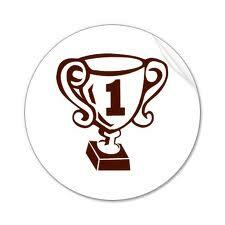 You Earn 1,000 points for writing a standard 10 question Multiple Choice Quiz. (You won't see the points until we publish the quiz but the points are dated with the time you submitted). You Earn 150 points for writing a 3 hint, 5 multiple choice answer BioQuiz. We provide the photo. 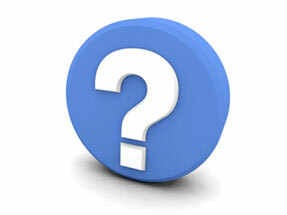 (You won't see the points until we publish the quiz but the points are dated with the time you submitted). 3. When did he die? 4. How old was he when he moved to Texas? Not only are these questions not very interesting, but people just don't remember these types of facts. Who remembers dates?! Our editors usually allow one of these types of questions per quiz. However, what we take most into account is the entire content set of your quiz. If it appears to us that you're just trying to "fill up" your quiz with trite little facts like those above, your quiz will be rejected. We will then send it back to you for editing. If you update your quiz to a point that we feel is acceptable, your quiz will be accepted. If you choose NOT to update your quiz to an acceptable level, our editors may edit and publish your quiz for you. However, you will NOT receive credit for the quiz or credit towards the current contest. 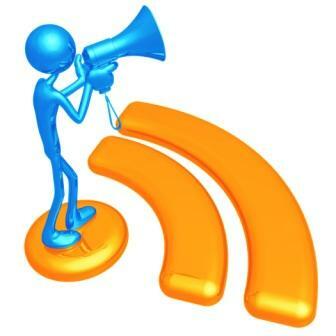 Bottom line, please make your questions robust and interesting. Try to focus on a person's life accomplishments and struggles. 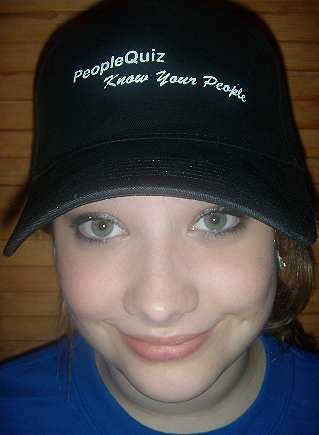 Make your quiz a robust, well-rounded report of a person's life! For more details about quiz writing, please see the Quiz Design Guidelines under the Introduction tab on the front page. Players can easily track their scores via the Monthly Scoreboard on the front page (click the Complete Monthly ScoreBoard for all player's scores). 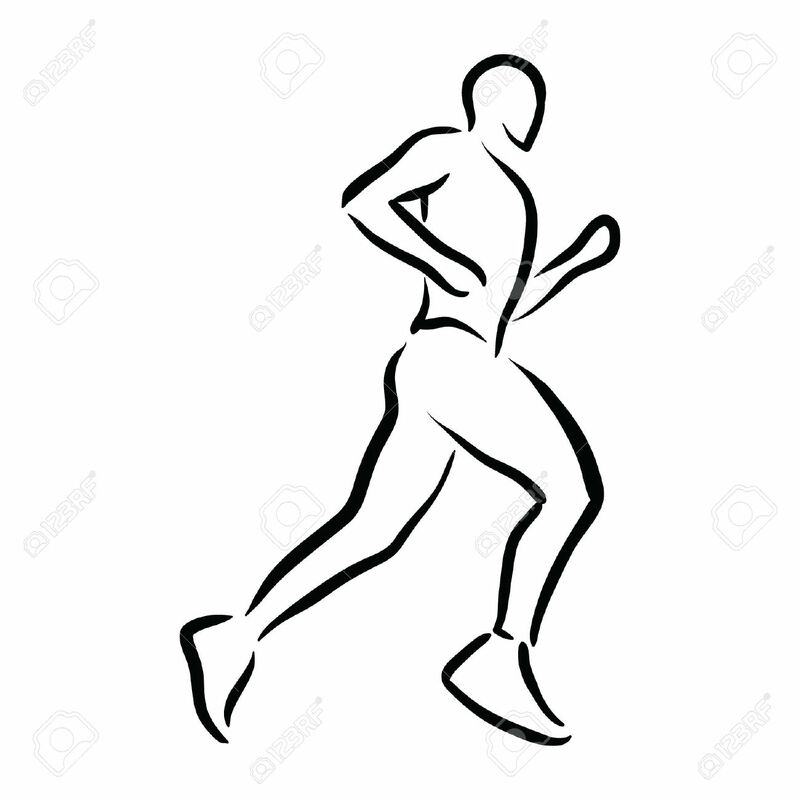 Please note that players must be registered to compete. 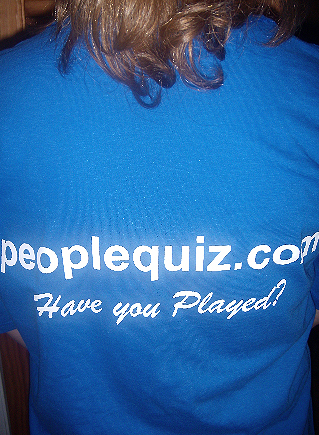 Please note that the PeopleQuiz owners, Bill and Dave, and some of our family and friends that have helped with the site and written many quizzes are ineligible for prizes. These names may be appear on the monthly points leaders lists but they are ineligible for prizes. If you're unclear about another player's status regarding prizes, simply click their name to review their profile. If the player is listed as a "Site Administrator" then they are ineligibile for prizes. This contest is valid for U.S. residents only. Prizes will be mailed at the end of each contest month. Please note that this contest may expire but we will always give players a month advance warning. 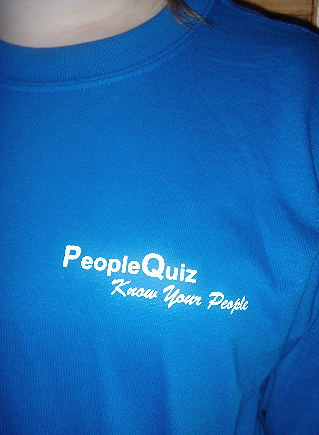 Our PeopleQuiz tee-shirts are high-quality, 100% cotton shirts. 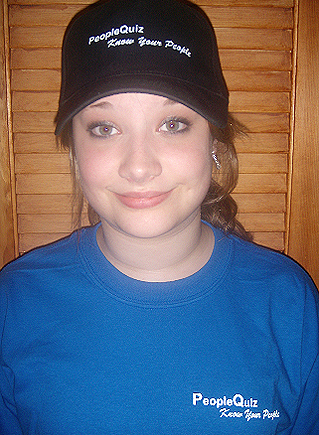 Our baseball caps are pretty cool, too! Here are some pictures of these awesome prizes!